Complete with filter housing, filter, spout (joined directly to housing), hose & connection piece to fit to existing tap spout. For people whom want a CC1 system but want to disconnect & reconnect the system easily or for customers whom may not be able to have an under sink system installed. For a quality, easy to install and portable water filter, it’s hard to go past our CC1 Quad Action Countertop System. This single filter system provides you with instant access to safe, great tasting water with the added benefit of a screw-in CC1 filter, ensuring all water that passes through the system is filtered. And by fitting directly on the end of your kitchen tap without the need for any complex installation, the countertop system makes things easy. Complete with filter housing, filter, spout (joined directly to housing), hose & connection piece to fit to existing tap spout. For people whom want a CC1 system but want to disconnect and reconnect the system easily or for customers whom may not be able to have an under sink system installed. For a quality, easy to install and portable water filter, it’s hard to go past our CC1 Quad Action Countertop System. 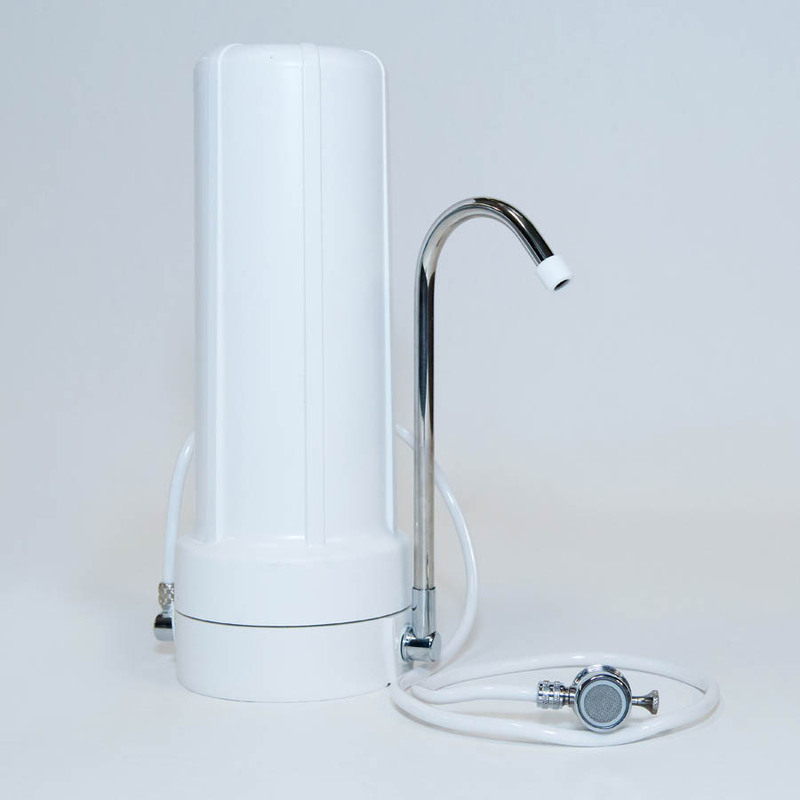 This single filter system provides you with instant access to safe, great tasting water with the added benefit of a screw-in CC1 filter, ensuring all water that passes through the system is filtered. And by fitting directly on the end of your kitchen tap without the need for any complex installation, the countertop system makes things easy.